Happy Saturday! 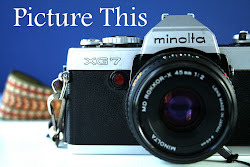 I will be your host this week for Picture This. Wonderful banner shot by Heidi, incredibly colorful. We all need to get away from time to time, from a short morning walk to a trip halfway around the world. And, of course, we take pictures. Here are mine, have fun showing us yours from your travels. 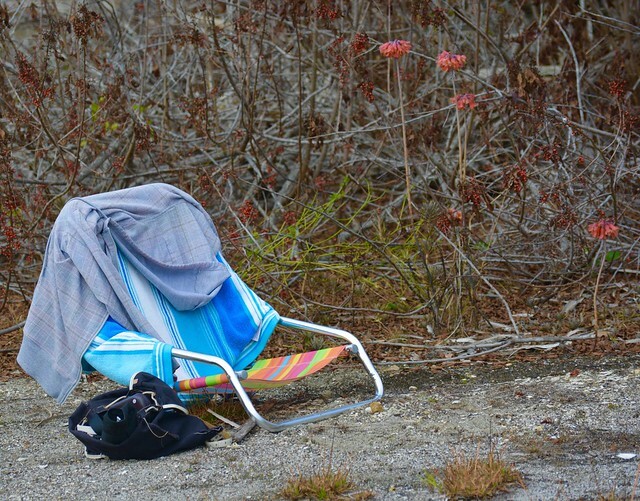 My chair and bag for an afternoon on Manasota Key in Florida. Sorry about the quality of the picture. You are looking at a blast-off of the space shuttle from the Kennedy Space Center, one of the last in 2009. It's about 200 miles away on the other side of Florida and I didn't think I would get a decent shot of it getting away. 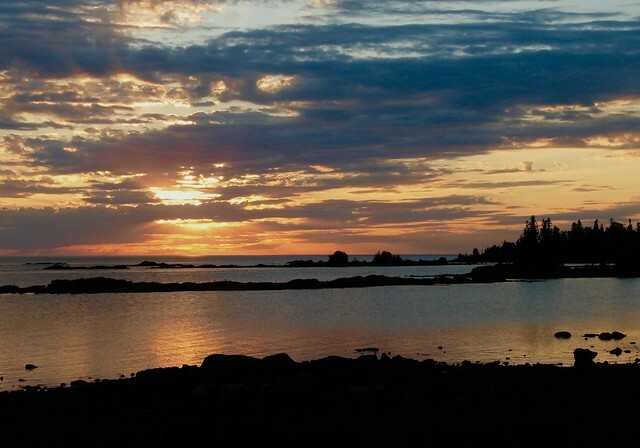 Sunset looking out over Lake Superior in Canada. Hi Benni !! Many thanks for hosting this week. A great theme, lots of possibilities!! Your favourite winter getaway place in the first first shot, I know. 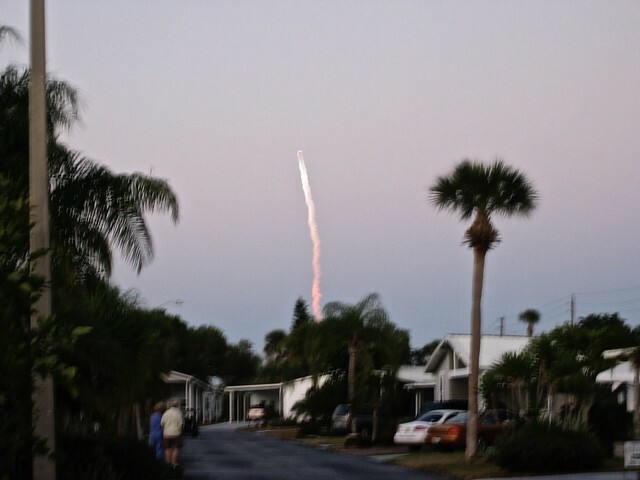 Cool shot of the Space Shuttle launch. There was due to be a launch one time I was in Florida, but it was due at about 3:30am. tried to stay awake but fell asleep half hour before and missed it!!! Beautiful sunset shot of the greatest of the Great Lakes. Hi Benni! Good theme, and your shots are far and beyond 'good'... Love the top one for its simplicity and simultaneously it makes me think of where the person had gone to... perhaps swimming... perhaps taking a photo... The third one pictures a scene that I will never see... The sunset is very serene and with very warm colours... love this! PT CDLV ~ Getting Away.